It’s easy to blow off nighttime skincare routines, but your PM products are just as important – if not more – than your daytime ones. Our skin does the bulk of its repair work overnight, which means you should slather on the potent products before your head hits the pillow. We love this light cream, which uses cocoa and rice bran to heal and hydrate skin. This moisturizer is packed with naturally healing ingredients. Rice Bran Proteins and Vitamin E increase elasticity in skin, while Iris Florentina extract smoothes and softens fine lines. But the power ingredient is Cocoa, which has caffeine to increase circulation and give you glowing skin. The last few months I've been seriously stuck in a rut with my moisturizer. My daily moisturizer for the last year has been my Victoria Secret Bare Bronze. It works for me and gives my face a nice natural glow without clogging my pores and leaving my skin a greasy mess. However, at night I use to use the Cetaphil moisturizer and every morning I'd wake up with very oily skin although at night I understand its normal, and your suppose to use a more thicker cream at night but this was getting a little ridiculous. In my August BirchBox I had received a sample size of the Befine night cream. Usually my face doesn't cooperate very well to new moisturizers they're either to oily, makes my skin super dry, or breaks me out. After the first night using the Befine night cream I was wowed. Not only did it control most of my oil, it also left my skin feeling super smooth, hydrated, and eventually I noticed it was evening out my skin tone. After a little over a weeks use I completely fell in love. Finally a product out of my BirchBox worth buying and I'm not the only one loving it. 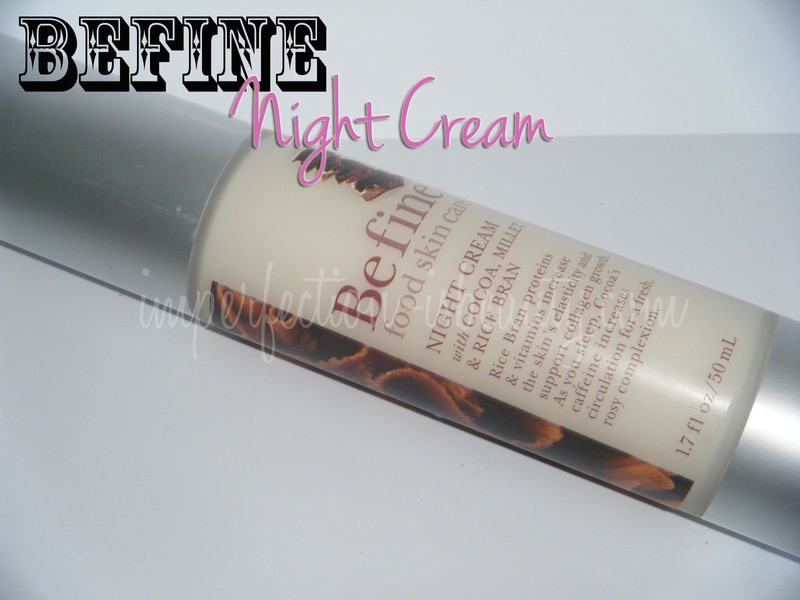 Befine's night cream was BirchBoxes top seller in August. Its really that good! Its extremely lightweight, and even smells pretty good. I've never used a night cream, and really didn't think their was much of a difference in night cream, and a regular moisturizer, I was definitely missing out. It has some pretty amazing ingredients as well. BirchBox is selling this for $30 but I've seen it on Amazon for $10. What's your favorite Moisturizer/Night Cream?? great post, I'm in need of a good night cream. I use this also after receiving it in my Birchbox. I found the whole line at Ulta for under 15.00 a piece (around $12 each). However, they no longer sell it on Ulta's website, you would have to go in to an Ulta location. @Jenn Thanks loving your blog!